Call me crazy, but I've always thought that a few wrinkles paired with a head of silvery gray hair was so beautiful. 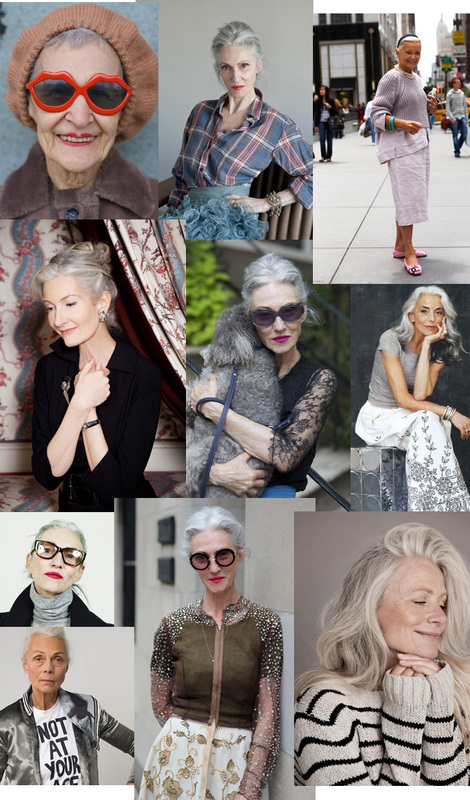 When I see pictures of chic older women like these, that part of growing old kind of excites me. I could'nt agree more! When my hairdresser finds a gray I say LEAVE IT! I agree, I'm not afraid of growing old with grace! Beautiful collage! why would anyone call you crazy for dat.